Bernard Voyer – one of the few explorers to go to both the North and South Poles and reach the summit of Everest – has joined the Board of Directors of KLB Group Canada, the project implementation specialists. Explorer, committed mountaineer and sought-after speaker, Bernard Voyer has a record of over 30 years of expeditions and adventuring. His exceptional career has earned him numerous distinctions, including the title of Knight of the National Order of Quebec, Officer of the Order of Canada and a Knight of France’s Legion of Honour. 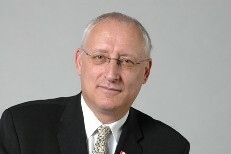 Bernard Voyer, who was recognized in 2002 as one of the 50 greatest Canadians of the past 50 years, is an example of implementation in action. His adventures align with KLB Group’s own culture of entrepreneurship and our values of performance, responsibility and pragmatism. KLB Group has operated in Canada for 10 years, based in Montreal, implementing numerous international projects. "It is with great pleasure that I have accepted the invitation to join KLB Group’s board of directors, as we have a shared vision and common set of values – such as committing to make a difference for customers. « 30 seconds of implementation!